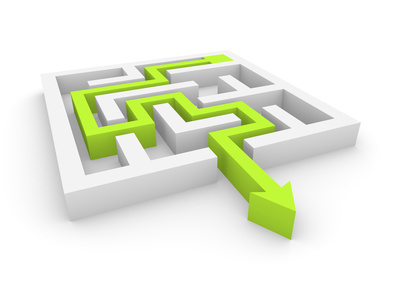 In this article I'll explain to you how to configure RIP on Cisco Routers. you'll learn all the commands required for the Cisco CCNA exam. Plesea, you can check pictrue 7, i can’t see Fa0/2 on router Spade. It’s two port Fa0/0 ??? Thanks for pointing that out, I just fixed it! Awesome job in explaining clearly. Great job, finally i understand this, after reading it in several books and was not understanding it till now. Thank you. What’s the purpose of configuring a route summary as shown above? It seems like without the summary, routing works just as well. Let’s imagine we have two routers, R1 and R2. R1 has 8 interfaces. We advertise 8 subnets from R1 to R2. In this case, R2 will have 8 entries in its routing table. When one of the interfaces on R1 goes down, R2 will lose the subnet in its routing table. Depending on the routing protocol, it will act upon this, trying to find another path. If we would advertise a summary route that matches all 8 subnets on R1 instead, then R2 would only have 1 entry in its routing table. This will save some memory. The second advantage is that when one of the interfaces on R1 goes down, it doesn’t affect the summary that R2 has in its routing table. This makes things a bit more stable. On small networks this doesn’t matter all that much but when you think about the Internet, summarization becomes very important. RIP update is 30 seconds. Last update was done 00:00:16 ago. What do these three parameters stand for - 00:00:16 ? Hr:Min:Sec or Min:Sec:MSec or MSec:MicroSec:NanoSec ? one question regarding the network command. How can the network command be understood? Is it classful? If so, why does 192.168.12.0 and 192.168.23.0 fall in the 192.168.0.0 network? As this network would only consist of 192.168.0.0 - 192.168.0.255!? If not, wouldn’t 192.168.23.0 fall also in 192.168.12.0 network? 192.168.12.0 - 192.168.255.255!? And we could also have used 192.168.12.0 instead? Yes you are correct that if the command network 192.168.0.0 was configured, it would only advertise the 192.168.0.0/24 subnet and not all the 192.168.0.0/16 subnet. Although RIP v2 is classless, the configuration commands are classfull. Now if the above were network 172.16.0.0 subnet, then the command would indeed work just like Rene has described, because the command would refer to a class B or /16 subnet which would include any interfaces with addresses between 172.16.0.0 and 172.16.255.255. However, RIPv2 would advertise the networks using the subnet mask that has been configured on the interfaces themselves. This is why RIPv2 is a classless protocol. I will let @ReneMolenaar know about this. Thanks and I hope this has been helpful! you said (Rene) " Just type version 2 to switch to this version. By default RIP version 2 will behave classful and won’t send a subnet mask. I need to type no auto-summary to make it behave classless and send a subnet mask with its RIP updates." also this behavior of auto-summary feature is in EIGRP, do we need to add no auto-summary to make it classless?!! Thanks for your comments. Just to clarify, RIPv1 does NOT support classless routing. RIPv2 does support it and thus includes the subnet mask information of a destination. However, RIPv2 by default behaves in a classless manner unless you enter the no auto-summary command. This is what Rene mentions in the lesson. All of the information stated by Rene is correct. As for the auto-summary feature of EIGRP, it works a little bit differently. 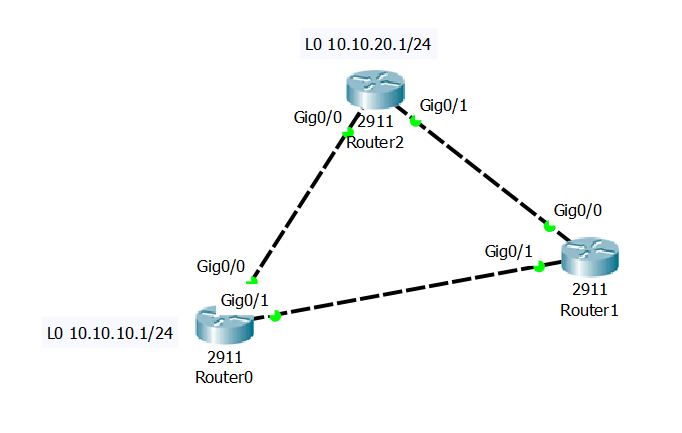 EIGRP supports CIDR and variable length subnet masking but routes are not summarized at the classful network boundary unless auto summary is enabled. “RIPv1 does NOT support classless routing” I’m sorry, when did I say it does?!! Are you saying that no auto-summary makes it classful?!! The purpose of this forum is to be a place of constructive discussions where we can all help each other in our quest to become better networking professionals. There is no need to be adversarial. If I came across as adversarial, or if I upset you in any way I apologize. You didn’t. It was just a part of my explanation. Router 2 has a loopback of 10.10.20.1/24 and Router 0 has a loopback of 10.10.10.1/24. RIP version 2 is enabled in all routers and all IPs (including the interconnecting networks and the loopbacks) are advertised via RIP. Notice that even though the loopbacks are configured with a subnet mask of /24, RIP only sends the classful information from Router 2 and Router 0 to Router 1. There are two routes to 10.0.0.0/8, one for each of the loopback interfaces of each router. There are no routes to 10.10.10.0/24 or 10.10.20.0/24 because RIP is behaving in a classful manner in the information it sends. Now this is what we would expect to see from a routing protocol that is behaving in a classless manner. We see both the 10.10.10.0/24 and 10.10.20.0/24 networks destination networks with the appropriate subnet masks. To summarize, RIP version 2 is indeed a classless routing protocol as you mention. And yes, the auto-summary is indeed a feature that controls behaviour not the version. However, in order to get the routing protocol to send the subnet masks and to behave performing Classless Inter Domain Routing (CIDR), the no auto-summary command must be implemented. If I misinterpreted your original comments, I apologize. Rene: " By default RIP version 2 will behave classful and won’t send a subnet mask. I need to type no auto-summary to make it behave classless and send a subnet mask with its RIP updates." now let’s make the transit network between them 10.100.100.0/24 and enable auto-summary. to prevent RIP from summarizing the major networks we need to disable the auto-summary feature. because RIPv2 by default can behave classless and can send the subnet mask even if auto-summary is enabled.